The year was 1967, and 23-year-old Syracuse University student Bob Wheeler had been hitchhiking across the country, conducting hundreds of interviews for his master’s thesis, an oral history of legendary American Indian athlete and Olympian Jim Thorpe. Armed with a bulky, reel-to-reel tape recorder, Mr. Wheeler had met with Thorpe’s widow. He’d visited former President Eisenhower, who as an Army cadet played against Thorpe in a 1912 college football game. Then the interviewer ran into a problem. He was outside the MGM Studios lot in Culver City, Calif., pleading with a security guard. He was determined to speak with Burt Lancaster, who had portrayed Thorpe in a film; the guard was determined to remove the unexpected visitor from the premises. The guard relented. The student picked up a phone and soon found himself in Lancaster’s office, surrounded by Telly Savalas, Ossie Davis and Shelley Winters. 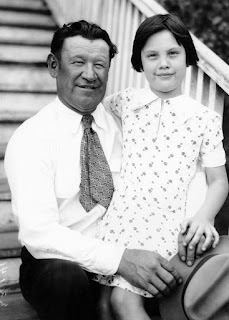 A member of the Sac and Fox tribe and a two-time Olympic gold medalist in track and field, Thorpe excelled in numerous sports, helped found and popularize the National Football League and was arguably the best-known, most-revered athlete of his era. “He’s a major hero for a lot of American Indian athletes,” said Jim Adams, a senior historian with the National Museum of the American Indian. “But he also was probably one of the first American Indians to become a real national hero without a connection to being an Indian or a chief or something. True story: Before the final event of the decathlon at the 1912 Olympics in Stockholm — a 1,500-meter foot race — Thorpe reached into his bag and found that his shoes were missing. Undaunted, he borrowed one shoe from a teammate and found another in a trash can. The discarded shoe was too small for Thorpe’s foot; the borrowed shoe was so large that he had to wear extra pairs of socks to keep it from slipping off. Still, he captured a gold medal and won the race in 4 minutes, 40.1 seconds — an Olympic decathlon record time unsurpassed until 1972. “In the 400-meter race [in the London Olympics decathlon] a couple of days ago, the gold medal winner beat Jim’s time by 0.7 of a second,” Mr. Wheeler said. “That’s on a modern, high-tech composite track. The track was cinder when Jim ran. Thorpe proceeded to do so. Twice. “You’re supposed to let them tackle you, Jim!” Warner said. “Nobody is going to tackle Jim,” Thorpe said. He went on to become a two-time All-American. He led Carlisle to victories over Harvard and Army, and biographer Kate Buford believes that he may have been the first collegian to rush for 2,000 yards in a single season. Standing 5-feet-10 and weighing 185 pounds, Thorpe competed in as many as 20 sports in his lifetime, including basketball, boxing, tennis and lacrosse. He even won an intercollegiate ballroom dancing championship. Still, when Warner first suggested to Thorpe that he participate in the 1912 Olympics, the latter man had no idea the games existed. No matter. Thorpe went on to win both the decathlon and pentathlon by large margins over favored European competitors — in fact, the 688-point gap between Thorpe and Swedish silver medalist Hugo Wieslander remains one of the largest in Olympic history. The king of Sweden famously subsequently dubbed Thorpe “the world’s greatest athlete.” He became an international superstar, returning to a hero’s welcome in New York City and a congratulatory letter from President Taft. According to historian Adams, Thorpe’s cultural impact was no less significant. “He played the same kind of role in refuting racial myths about indigenous people that [Olympic track and field star] Jesse Owens later did about African-Americans,” said Mr. Adams, whose initial curiosity about Thorpe’s Olympic exploits ultimately led to the “Best in the World” exhibit. Though the 1912 Olympic team featured a number of standout American Indian athletes — including distance running silver medalist Lewis Tewanima and swimming gold medalist Duke Kahanamoku — it was Thorpe’s transcendent performance that did the most to erode racial prejudice. 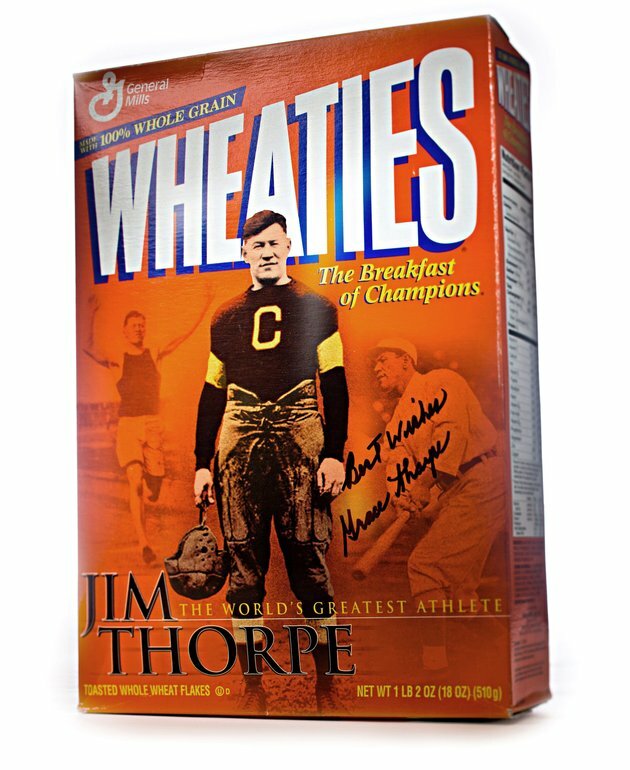 In 1951, the Associated Press selected Thorpe as the Most Outstanding Male Athlete of the first half of the 20th century. Baseball slugger Babe Ruth — cultural icon with a semi-eponymous candy bar — finished a distant second. And why not? Thorpe played pro basketball, barnstorming across New York, Pennsylvania and Ohio. He was offered $50,000 to become a professional boxer. He signed with Major League Baseball’s New York Giants for $6,000 — the largest-ever rookie contract at the time &mdash and drew 20,000 fans, including King George V, to an exhibition baseball game held in London. Thorpe made his biggest mark in football. In 1915, he signed with the Canton Bulldogs; immediately, the team went from attracting about 800 fans per game to as many as 12,000. The Bulldogs won three championships, and in 1920 they joined 13 other teams in the nascent American Professional Football Association, which two years later became the NFL. Thorpe also was known for controversy: Following the 1912 games, the International Olympic Committee stripped him of his gold medals after discovering that he had received a few dollars a day for playing minor league summer baseball, a violation of Olympic amateurism rules. Enter Mr. Wheeler. As he crisscrossed the country for nearly two years, reconstructing the life and times of his childhood hero, he noticed something: No one declined an interview request. Mr. Wheeler resolved to do just that. He dug up documentation showing that Thorpe played summer baseball at Warner’s request, the better to stay in shape. He started a petition drive, collaborating with the Jaycees and Native American tribes to collect about 3.5 million signatures. 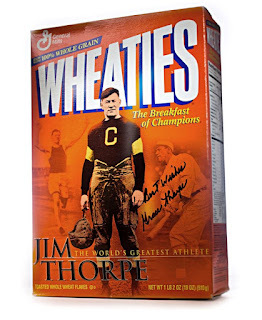 In 1982, Mr. Wheeler and his wife, Florence Ridlon, founded the Jim Thorpe Foundation. Working out of a tiny Washington, D.C. office, they won the support of then-Speaker of the House Tip O’Neill and Congress. Ms. Ridlon searched the Library of Congress’ card catalog. Nothing. A librarian let her browse the library’s metal bookcases. Hours later, she had found rules for every Olympics except 1912. Discouraged, Ms. Ridlon headed for the exit. Something made her pause. She went back to the stacks, reaching her hand between two bookcases. She felt a piece of paper. Ms. Ridlon wept. Soon after, the IOC reinstated Thorpe as a contender in the 1912 Olympics and gave replacement gold medals to his family. Another true story: During Thorpe’s 1953 Native American burial service in Oklahoma, his third wife and widow, Patricia, pulled up in a hearse. Declaring that Thorpe was “too cold,” she took his body and coffin to Pennsylvania, where the small towns of Mauch Chunk and East Mauch Chunk had agreed to combine and change their name to Jim Thorpe, Pa. in a macabre bid to attract tourists. Today, Thorpe’s remains still lie in a mausoleum there while his four sons have fought a decades-long, unresolved court battle to return their father to Oklahoma. One of those sons, Bill Thorpe, is a close friend of Mr. Wheeler’s family — so much so that Mr. Wheeler’s 23-year-old son, Rob, considers him a grandfather figure. Last Thanksgiving, Bill Thorpe had dinner with the Wheelers. Afterward, he opened up about his father’s interrupted burial. “I saw how much it pains him,” the younger Wheeler said. Determined to help bring closure to the case, he created a website, jimthorperestinpeace.com, that includes a petition asking that Thorpe’s body be returned to Oklahoma. More than 100 American Indian tribes support the effort. Rob also has spoken at two public forums in Jim Thorpe, Pa., to build support for his cause. “There’s a number of people in favor of returning the body,” he said. “Some are against it. I found that the vast majority of people didn’t feel strongly one way or the other until they heard me tell the story. A former college tennis player at MIT, Rob said that Thorpe’s century-old story can still inspire others.